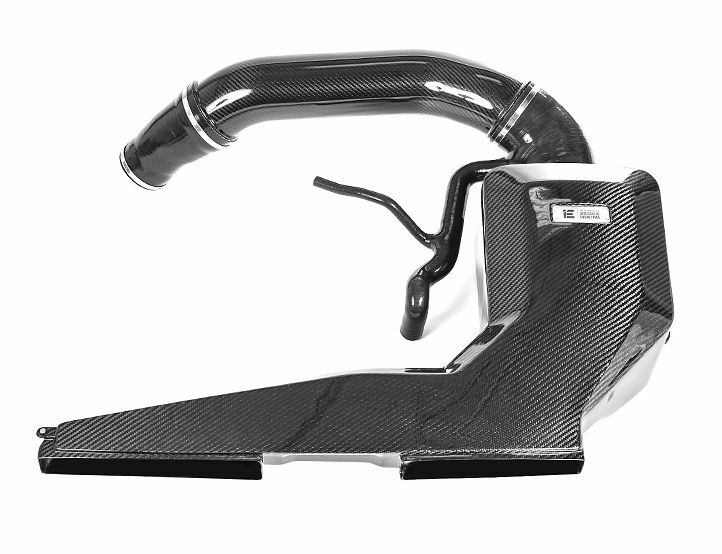 Here's the best looking and highest performing air intake for the RS3 8V and TTRS 8S platforms you'll find. No corners were cut or expenses spared. 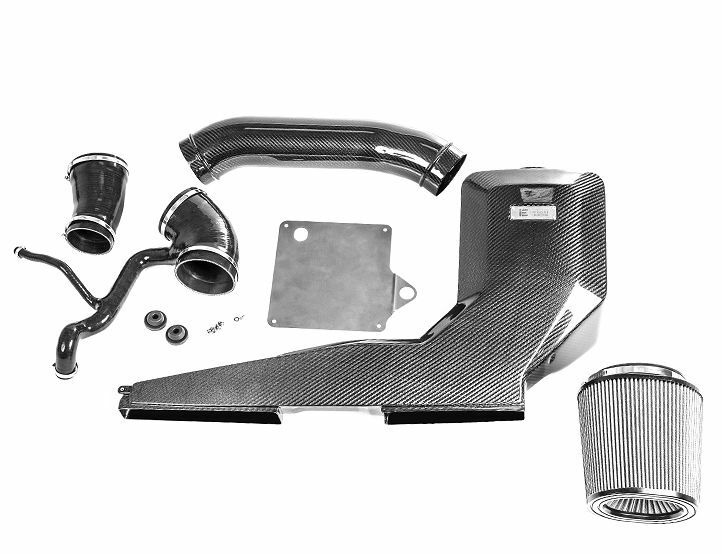 A massive air filter, carbon fiber construction, large internal volume, and four inch piping diameter ensure that the engine breathes deeply and realizes large power gains across the entire powerband. This kit is on back-order, contact us before ordering for an expected lead time. The ram-air design and performance features translate into big power gains. 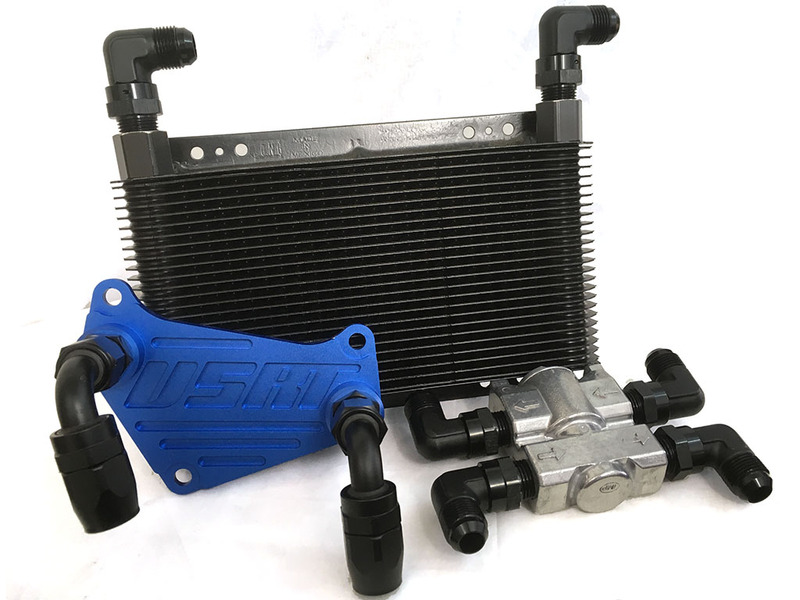 This intake system performs great with upgraded ECU Software or upgraded turbochargers. 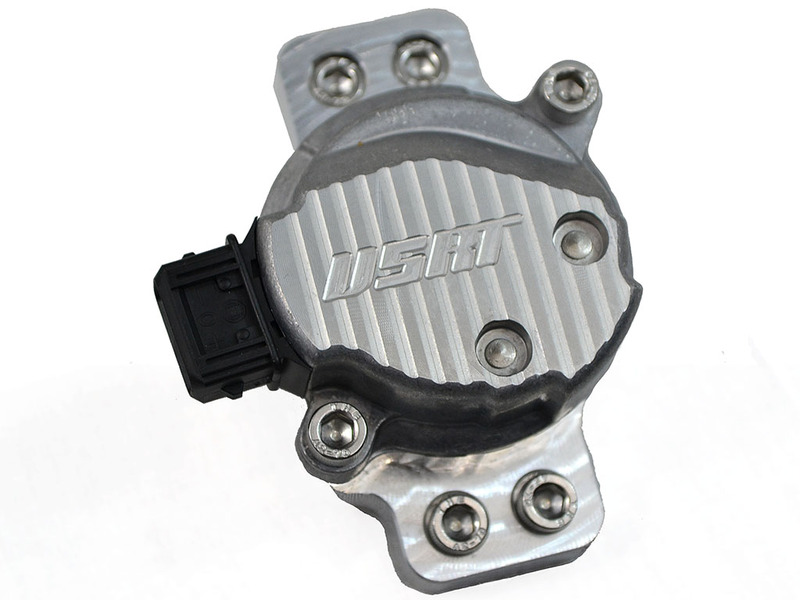 Stage 2 software yielded greater than 25 Horsepower with the addition of the IE intake. Below is a dyno chart provided by Iroz Motorsport in a 3rd party test. 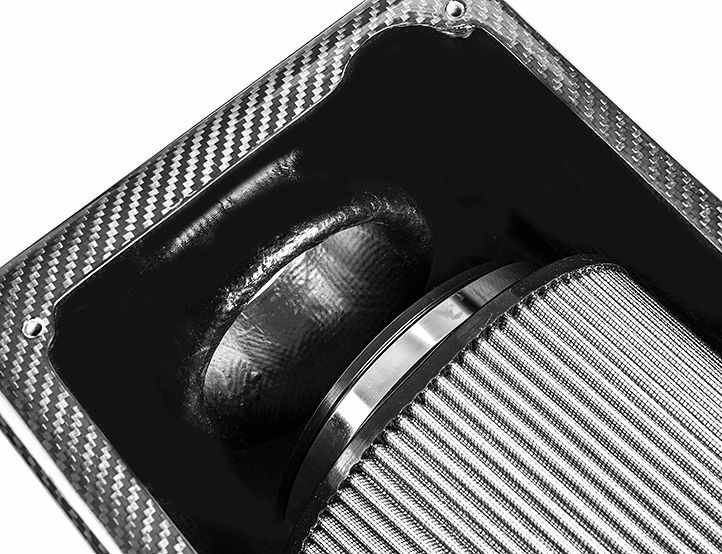 An upgraded intake that only looks pretty and doesn’t improve performance isn’t one IE would ever put its name on. 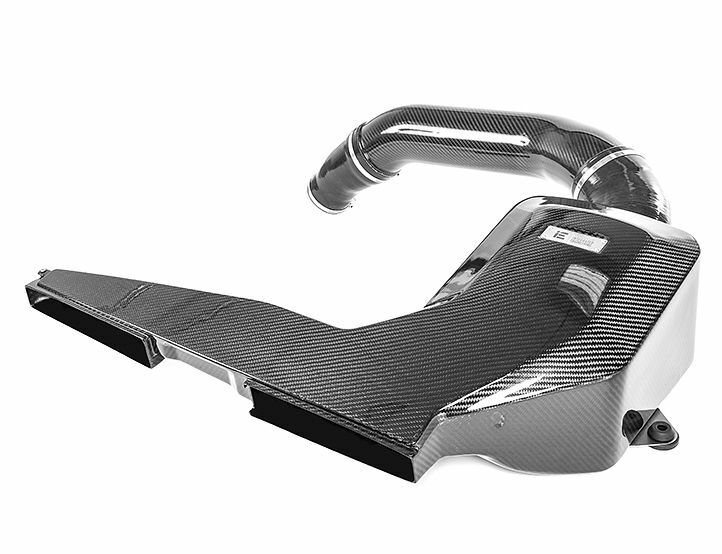 Several design features lead to an impressive 42% increase in airflow over stock. Large power gains will be realized on all applications from mild to wild. 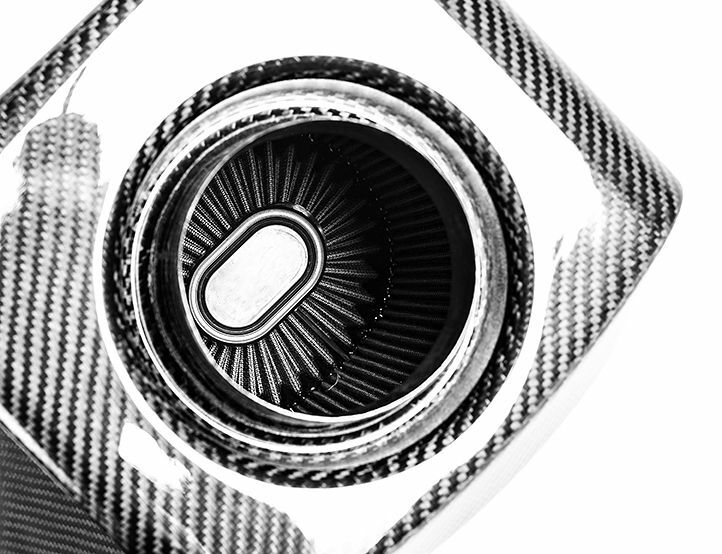 The ram-air design ensures that as much air is forced into the intake system as possible. The intake achieves this by feeding cold air in from the front of the car. 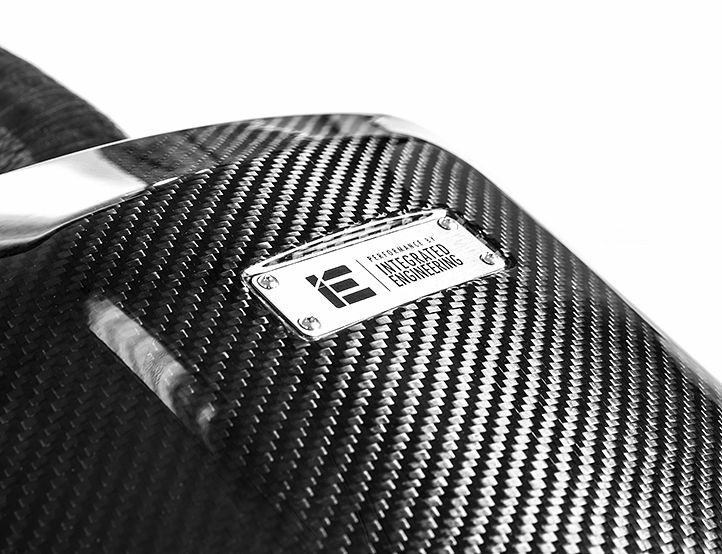 The front scoop of the IE intake system spans the entire width of the grille collecting all available air. 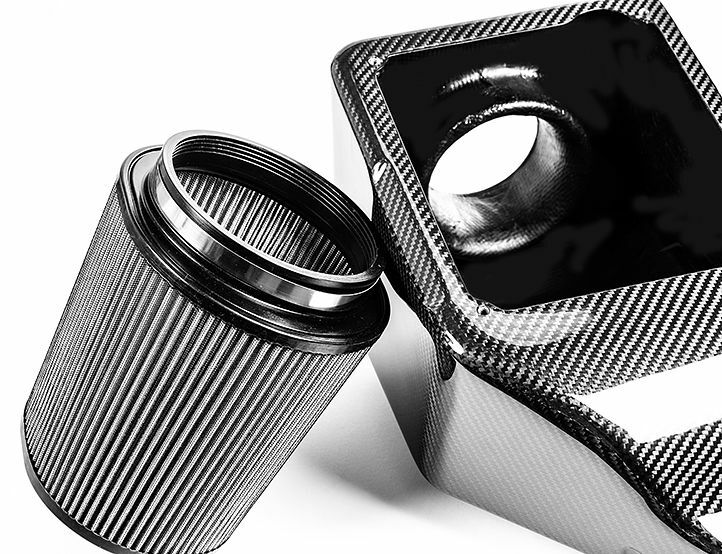 While producing an intake of this size is expensive, it results in the highest performing product. 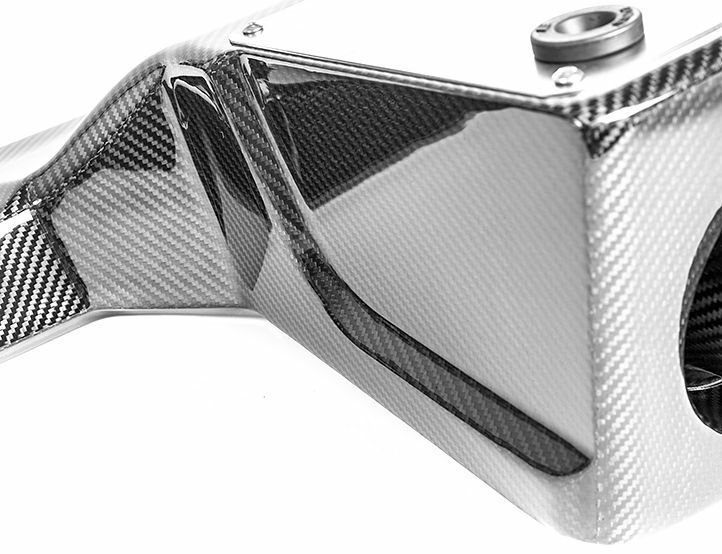 Carbon Fiber air intakes not only look great but they also have a key performance advantage of being less heat absorbent. 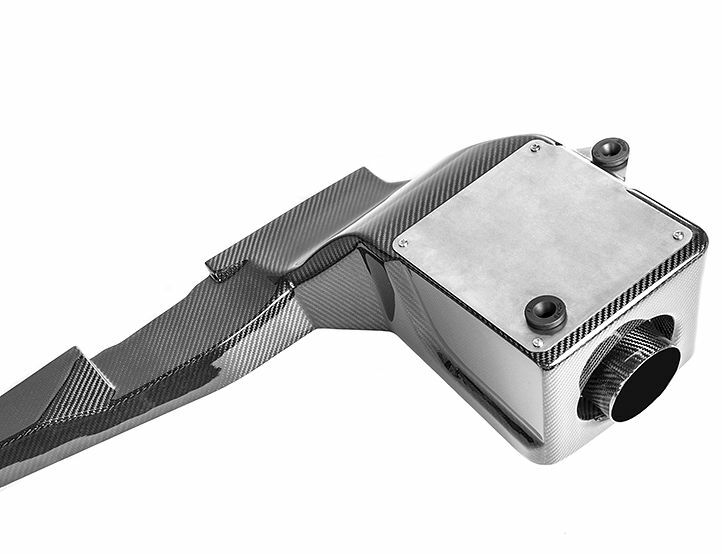 By absorbing less heat intake air temperatures remain cooler than other common construction materials such as sheet metal heat shields and aluminum piping. 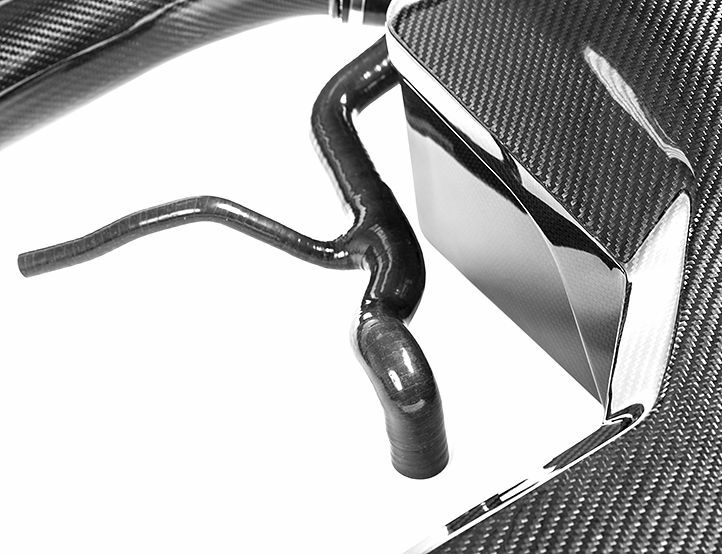 A large diameter 4-inch carbon inlet pipe ensures unrestricted airflow into the turbocharger. This large diameter pipe replaces the substantially smaller factory inlet pipe, allowing the engine to breathe properly. IE engineers incorporated the largest filter possible. 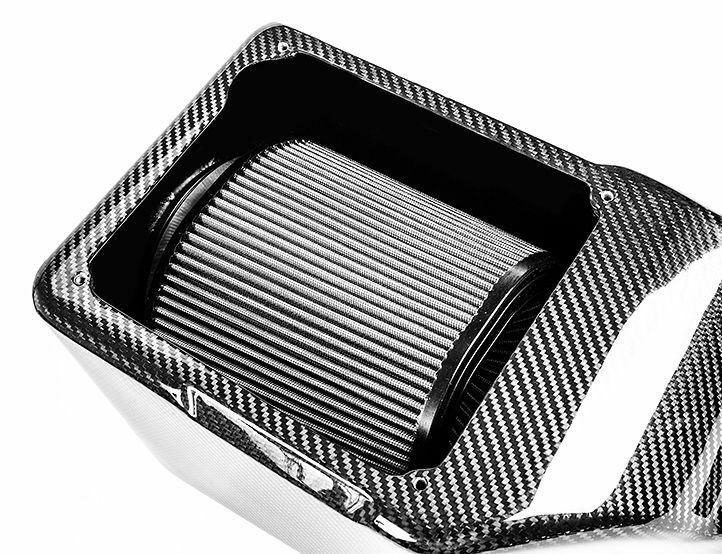 In addition to the sheer size, the frontal area of the air filter incorporates a pleated inverted cone which results in more air induction. Install can typically be completed in about an hour using basic tools. Be sure to read the install instructions in entirety before starting the process. 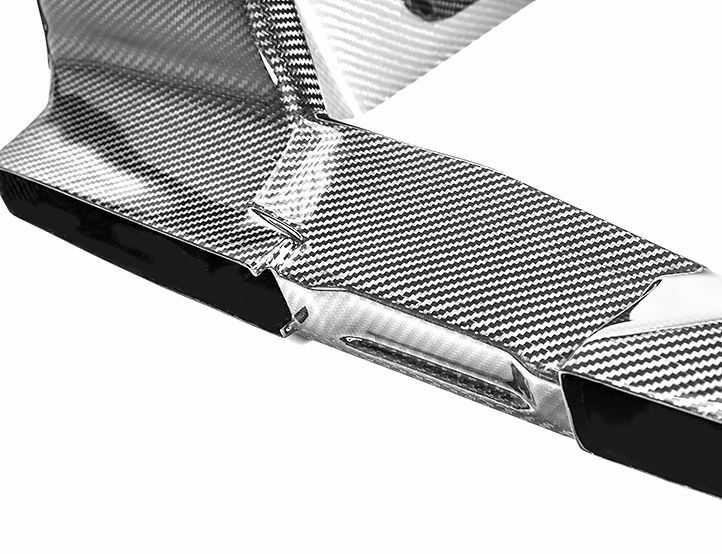 As a pro tip, keep in mind that carbon fiber scratches easily (especially if tools are dropped on it). CLICK HERE to view and download the install guide.